Please sign our petition and let your voice be heard. The overuse of ambulance sirens is a dangerous, ineffective, outdated practice that is major contributor to noise pollution in our community. Other cities don't have to put up with this and neither should we. Why are the Streets of Chicago Quieter than Bakersfield? Recently my wife and I spent a week in downtown Chicago on vacation. We thoroughly enjoyed the city, but we noticed that something was missing: Ambulance sirens. Unlike Bakersfield, ambulances in Chicago don't run their sirens continuously on emergency calls. They only use them with "common sense discretion". We watched in amazement as ambulances turned on their sirens momentarily to get through traffic and then turned them off! This protocol was recently codified by a new law for the City of Chicago, HB 5632, which states "...the siren and lamp or lamps shall be in operation only when it is reasonably necessary to warn pedestrians and other drivers of the approach..."
You don't have to go all the way to Chicago to find a quieter city, just check out San Luis Obispo. They also only use the siren on an "as-needed" basis. At night they often respond lights-only. Siren policies for ambulances are being updated across the country to reflect recent studies into the safety and effectiveness of ambulance sirens. This isn't just about noise pollution; these policy changes are being made with safety as the first priority. Running an ambulance with lights and sirens is dangerous for a couple of reasons. First is the "wake effect". People react unpredictably to emergency vehicles running lights and sirens. The wake effect actually results in far more accidents involving surrounding vehicles than the emergency vehicle itself. The second reason for increased accidents is described as "siren syndrome" or "sirencide" by the US Fire Administration. "These terms are used to describe the tendency to drive faster and more aggressively when operating under emergency conditions with the siren activated. In some cases, this may result in an adrenaline rush that offers the driver a false sense of invincibility that can lead to serious danger if it is not controlled. This condition becomes particularly dangerous when the driver assumes that every motorist encountered will hear and react appropriately to the siren. " Additionally, motorists do not always hear the siren. The U.S. Fire Administration writes "If the emergency vehicle driver does not remember this fact and is "overdriving" the vehicle, problems could occur when encountering an unaware motorist. Even if encounters with other vehicles do not occur, the increase in adrenaline caused by the situation can result in vehicle operation beyond the real capabilities of the driver, leading to a loss of control of the vehicle and a likely crash scenario." 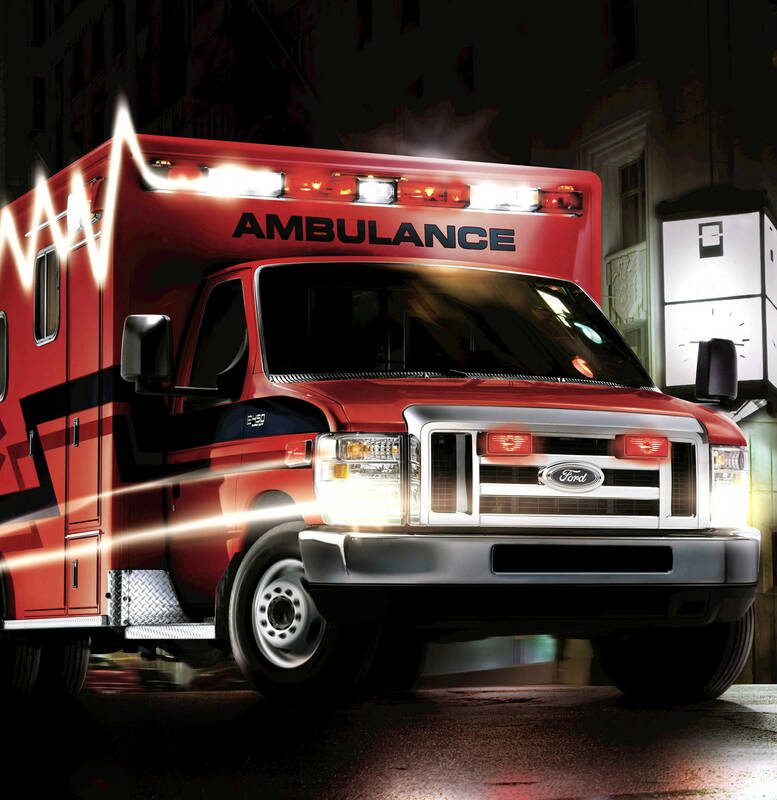 EMS providers are at greater risk of death on the job than their police and firefighter counterparts, with 74 percent of EMS fatalities being transportation-related. The fatality rate for EMS personnel is more than twice the national average. Most people don't realize that ambulances are not even supposed to drive fast. Ambulances in Bakersfield typically obey the posted speed limit on local streets when responding to emergency calls. Their maximum speed limit on the freeway is only 72 miles per hour. This means they are regularly being passed by many drivers on the freeway. When ambulances are already traveling at a safe speed and there are no obstructions in their path, there is no need for a continuous siren. It just creates a safety hazard. Unnecessary noise reduces the quality of life for everyone in the community. Places like Chicago and San Luis Obispo have recognized that the overuse of ambulance sirens is a dangerous, ineffective, outdated practice and a major contributor to noise pollution. There's a tendency to base the use of sirens upon the dogma and inertia of past practice, rather than objective evidence for effectiveness or better outcomes.